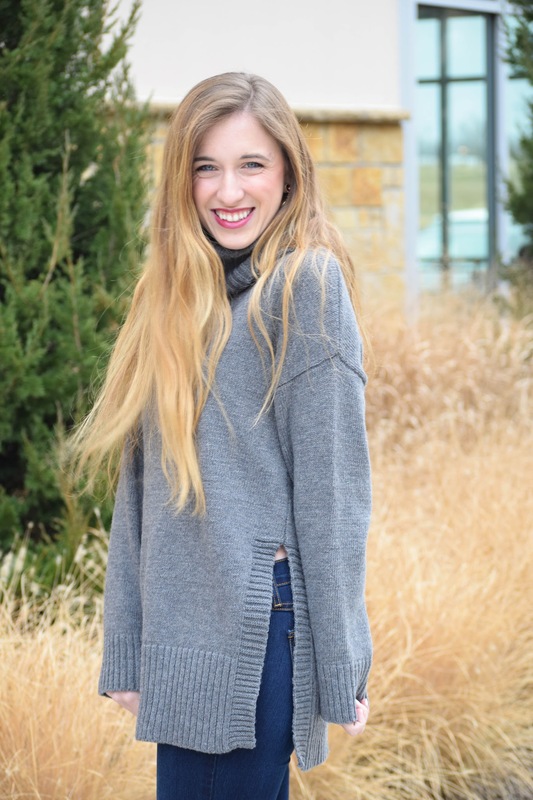 Cozy is key when it comes to winter outfits. 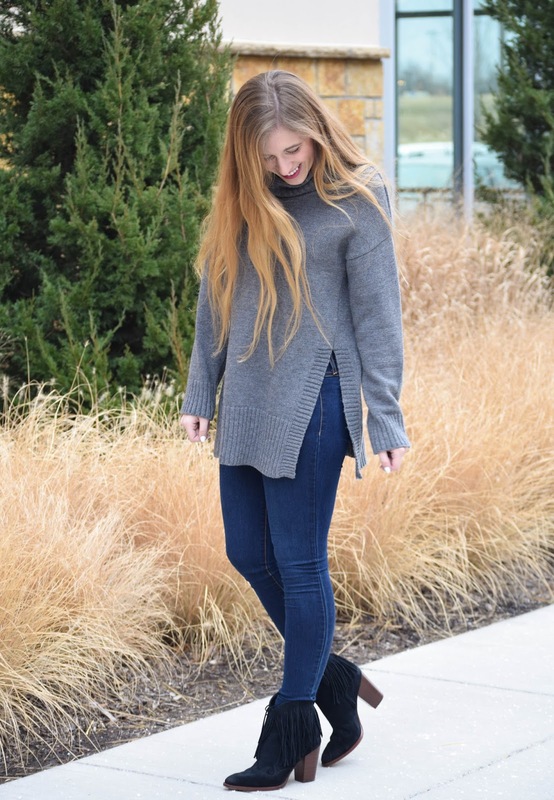 I already don't enjoy the cold, so it is essential for me to feel comfortable when trying to stay warm, making chunky turtlenecks my go-to! 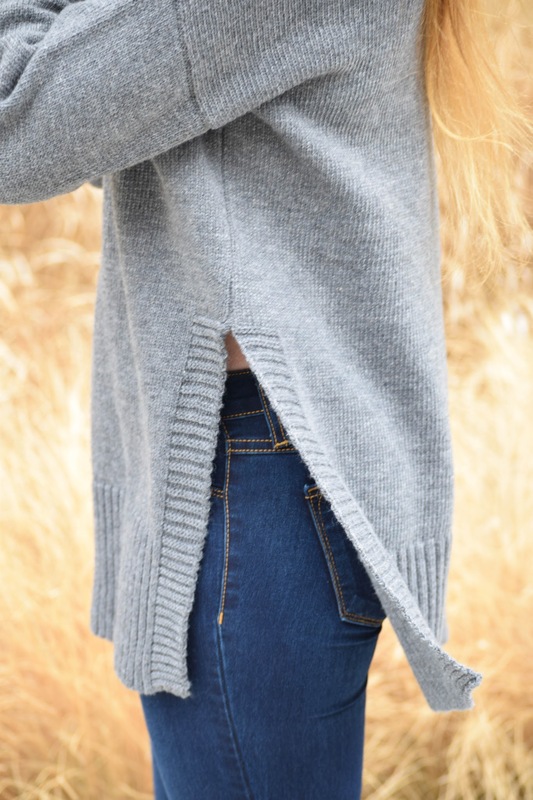 The side-slits immediately drew me to this sweater from Scoobie; they add a little something extra to an otherwise neutral sweater and make your legs look at little longer. 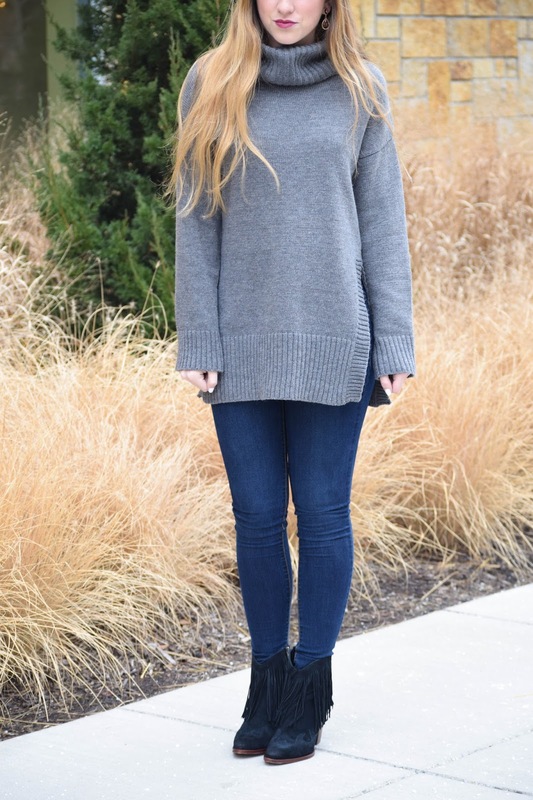 For this look I paired it when my new favorite pair of jeans (they're so comfy!!) 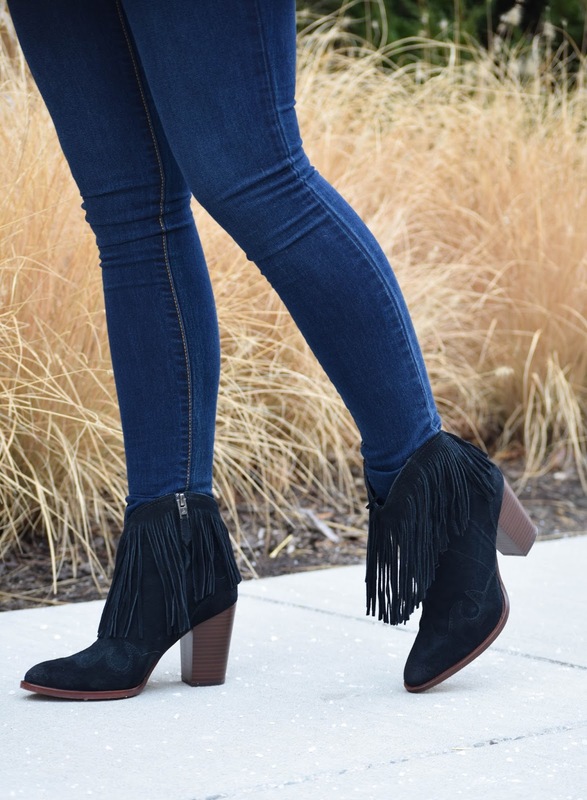 and fringed, pointed toe, black booties for a more dressed up and edgy look, but I wear the sweater all the time with black leggings and my Nike tennis shoes to class! It's a cuter alternative to my typical oversized sweatshirt and leggings. How have y'all's weeks been going? I woke up to an email from one of my professors saying my first class today was cancelled, so I'd say my Thursday is off to a good start!